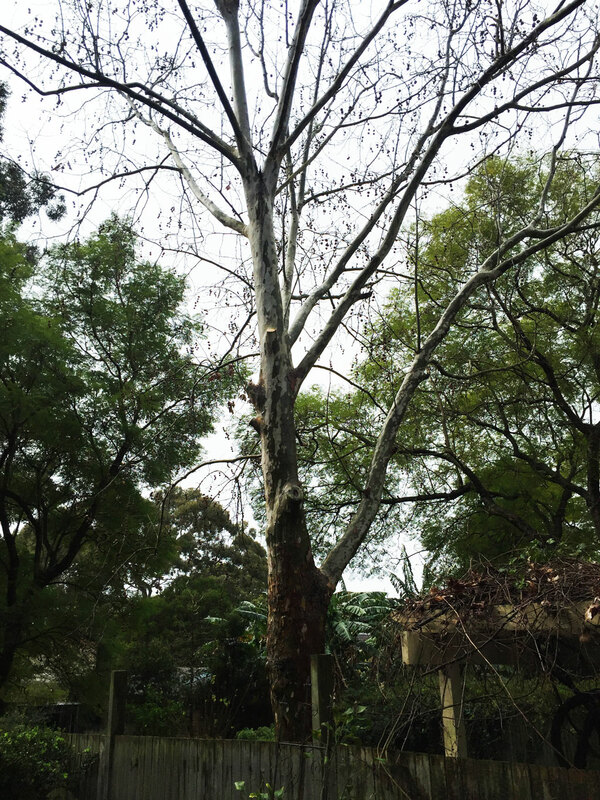 This London Planetree on a property in Vaucluse badly needed pruning, so we got approval from the neighbour to remove 3 branches which were hanging over the fence. Even if the tree is not on your property, it may be beneficial to take responsibility for those parts of the tree which are affecting your property. We are experienced at negotiating with neighbours for an outcome which suits all parties involved.